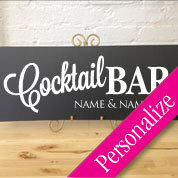 Tell Your Guests Where to Go — Literally. 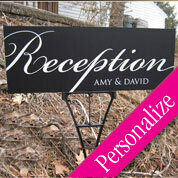 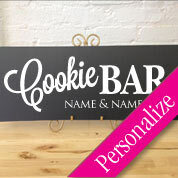 Outdoor quality heavy plastic personalized signs point the way to parking ... which way to the reception ... where the cookies are ... and more! 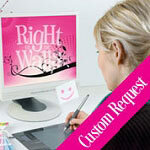 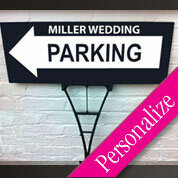 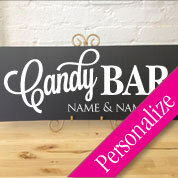 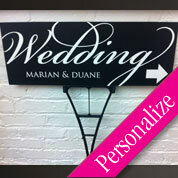 Fully-customizable and color-matching to the theme of your wedding or event. 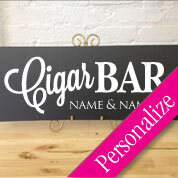 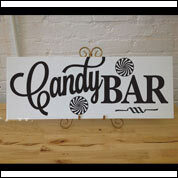 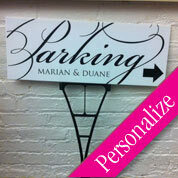 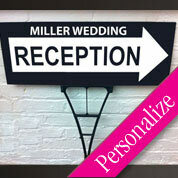 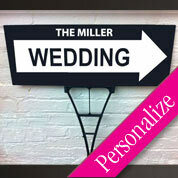 Directional signs are stylish and fun, as well as life-saveers for location-challenged guests!